Planning a Hen Party is hard work! 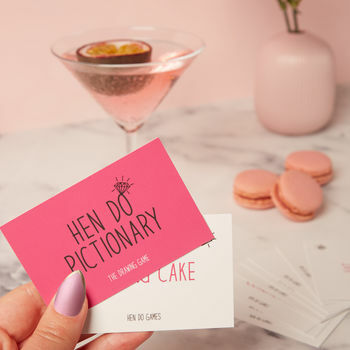 So we've done some of the leg work for you - our new range of Hen Party Games are designed to be fun for all ages, so even Great Aunt Mable can join in! Hen Do Pictionary is a drawing game, whereby you read the word and then have to act it out, without making any sound! Its a great way for everyone to get to know each other in a quick, fun setting. 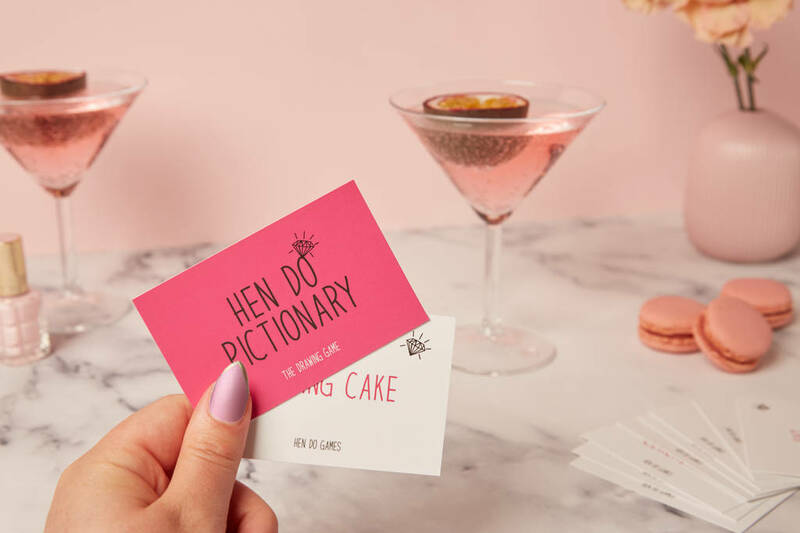 The cards are business card size, which means they are idea to pop in your clutch to take on your night out. Can be played round the dinner table or in any group setting. This game can also be turned into a drinking game by designating shots to anyone who cannot draw their card sufficiently for others to guess. Clean, Mixed or Explicit cards available. 16 double sided cards with 32 clues - printed on 450 gsm card stock, with cover card and instructions. This product is dispatched to you by Team Hen.